Hey my beautiful ladies! 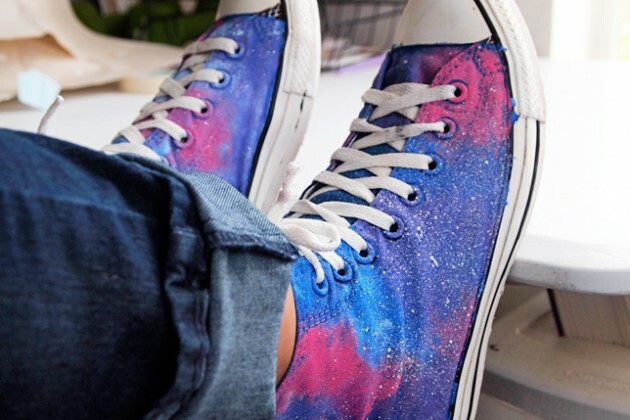 Converse sneakers were first created in 1917 as a basketball shoe, but today have become so popular and iconic that almost everyone has them – men, women, boys, girls, even the older ones enjoy the comfort that these shoes offer. 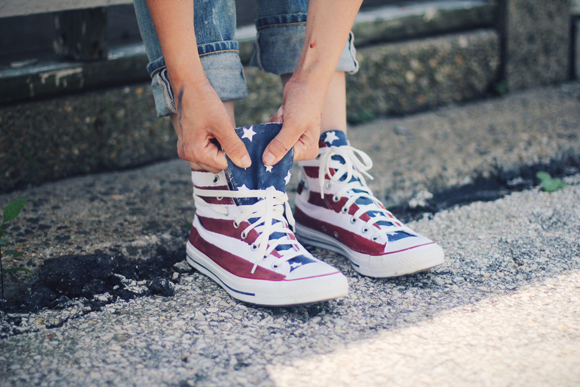 So, if you still don’t have a pair of Converse, go and get one as soon as possible, because a pair of Converse is a must-have. How could you not love them? They’re sporty, beautiful, casual, comfortable and the best thing about them is that you can find them in a variety of color and styles. They’re a great investment and they’ll help you create many different looks. Plus, they’ll never go out of style. 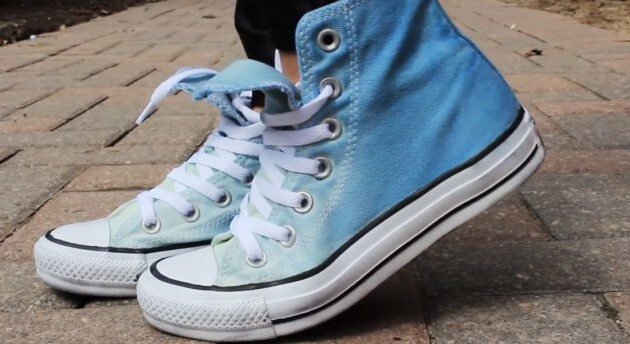 It doesn’t matter how old, dirty or holey your Chuck Taylors are. You can fix them in no time. 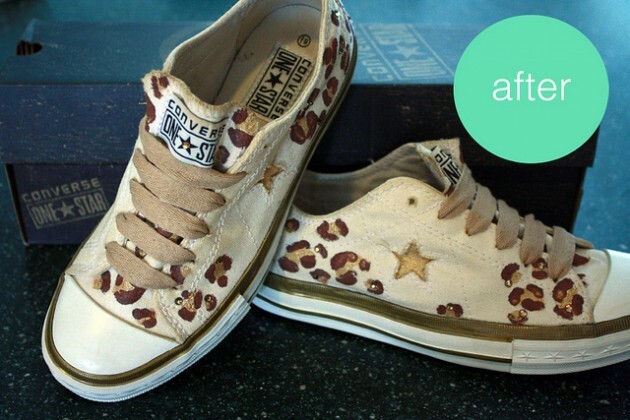 Just check out the photos below and get inspired about how to refresh them. 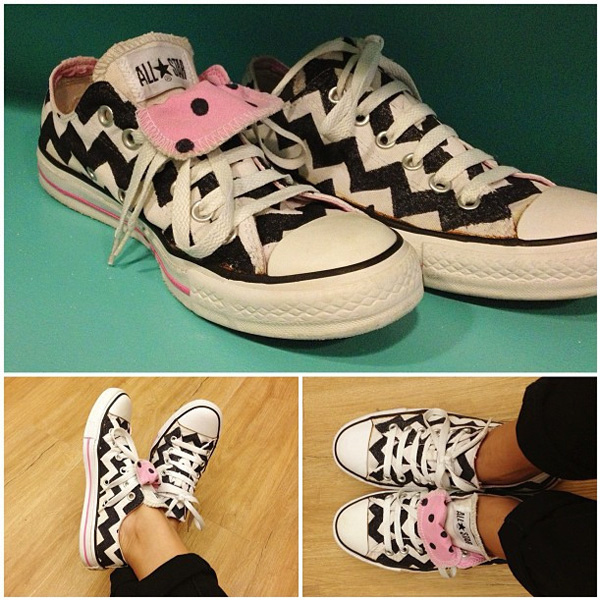 I am sure you will find your favorite design to makeover your Converse sneakers and use them again. 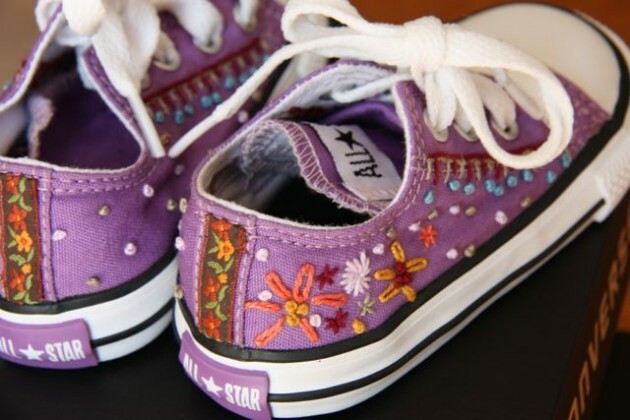 Making your own glitter Converse sneakers is actually very easy. 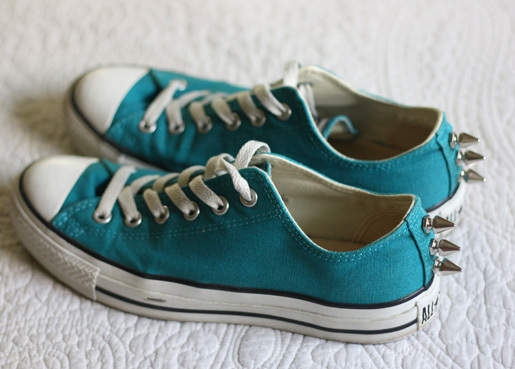 Just paint fabric glue on to the area where you want your Converse shoes covered, sprinkle the glitter on, shake of the excess, let dry and apply another layer of fabric glue to act as a top coat and seal the glitter in. I don’t know what’s going on, but the brides are crazy about these fantastic shoes. 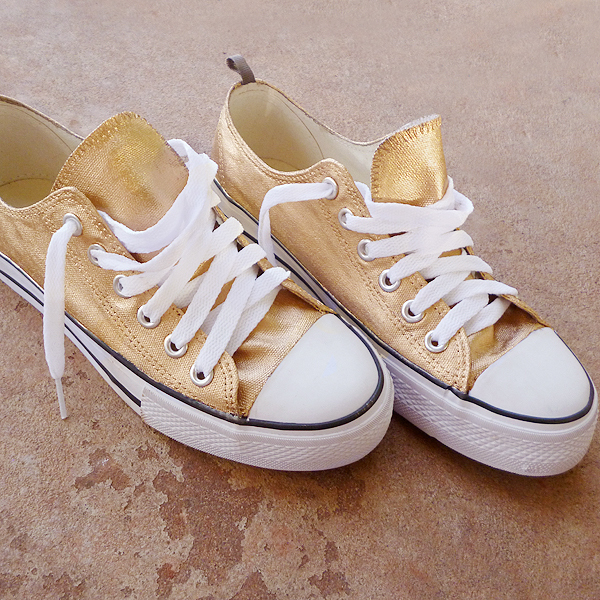 Wearing Converse with a wedding dress has become quite the trend for cool, hip and young brides recently. 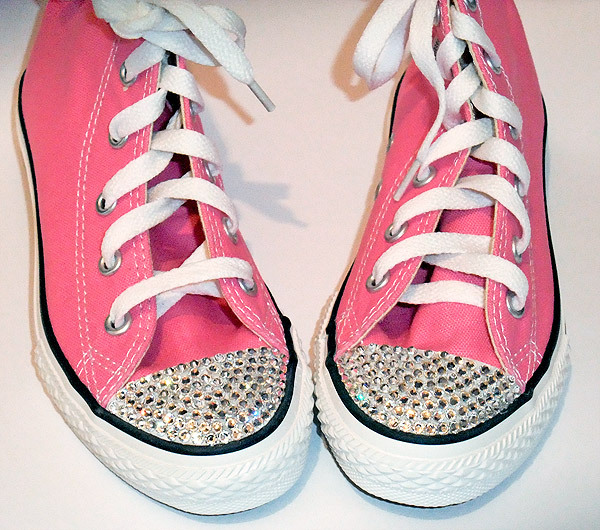 If you’re planning to do the same for your big day you can make your Converse extra special by adding rhinestones, faux gems and crystals. 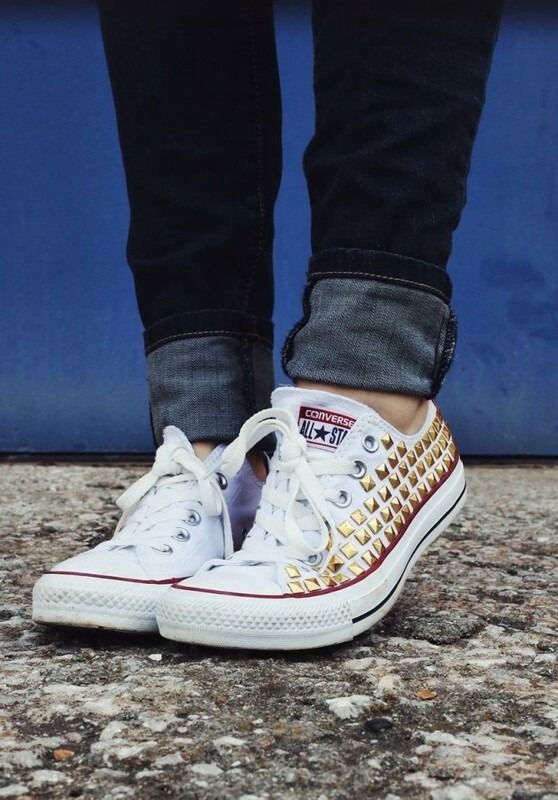 The easiest way to make your old Converse sneakers look cooler and edgier is to stud them. 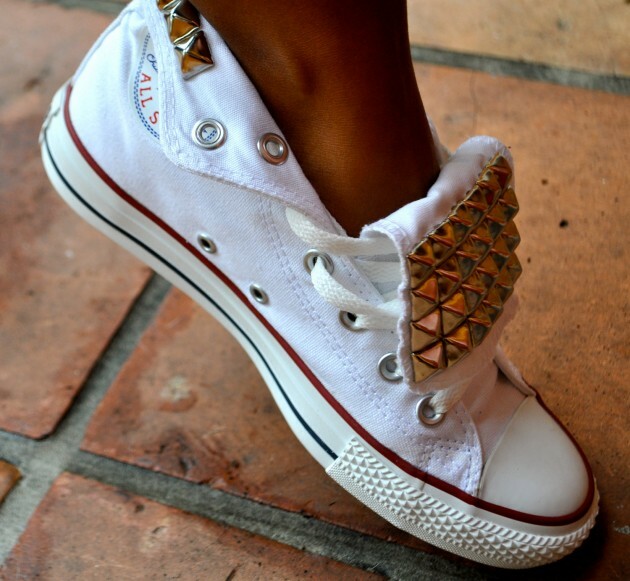 You can use studs of any color or size that you want. 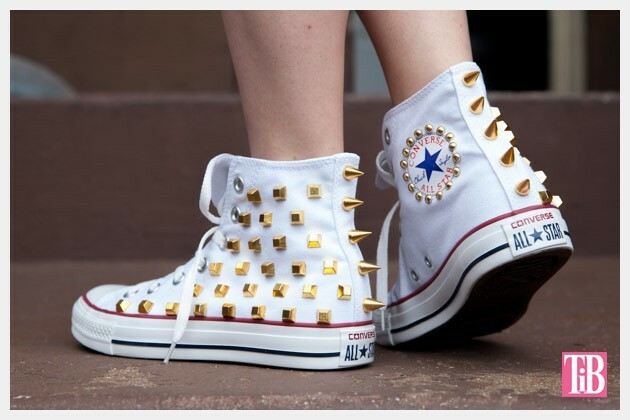 Also you can add some spikes to your Converse to give them a more ‘rock and roll’ kind of vibe. Thank you for reading! I hope that you have found this post useful and you will try some of these ideas. Enjoy in the rest of your day and stay up for more next time!